Plumbing Repair, FishHawk, FL | A Step Above Plumbing Inc. 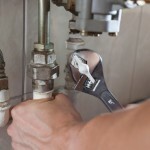 Plumbing Repair, FishHawk, FL | A Step Above Plumbing Inc.
We have over 10 years of experience in performing all types of plumbing repairs in both residential and commercial settings in FishHawk, FL. If you are having troubles with clogs or slow-draining sinks and tubs, you may be tempted to try to fix it yourself before calling in the experts and save yourself some money. However, this is rarely a good idea. You could purchase a drain cleaner at the store, but those harsh chemicals can damage your pipes, especially if they are used frequently. If you have chronically clogged drains, you need a plumbing repair professional to take a look at them because the odds are that something much worse than a clump of hair is lurking deep within the pipes. If you run into any plumbing problems, from clogged drains to broken pipes, contact our professionals for a plumbing repair as soon as possible. The longer you wait, the more serious the damages could be. At A Step Above Plumbing Inc. we take plumbing repairs seriously. If you live in the FishHawk, FL area, we are the plumbing company for you. We have over 10 years of experience in performing all types of plumbing repairs in both residential and commercial settings. Also, the days of tirelessly waiting for the repairman are over because we always show up when we are scheduled to. We know how important time is, and we don’t want to waste any of yours. We are open Monday through Friday from 7am to 5pm and Saturdays and Sundays by appointment; contact us today so we can get started on your plumbing repairs right away.